Welcome to the corral, cowboy's, cowgirl's, rustler's, hustler's, one and all. 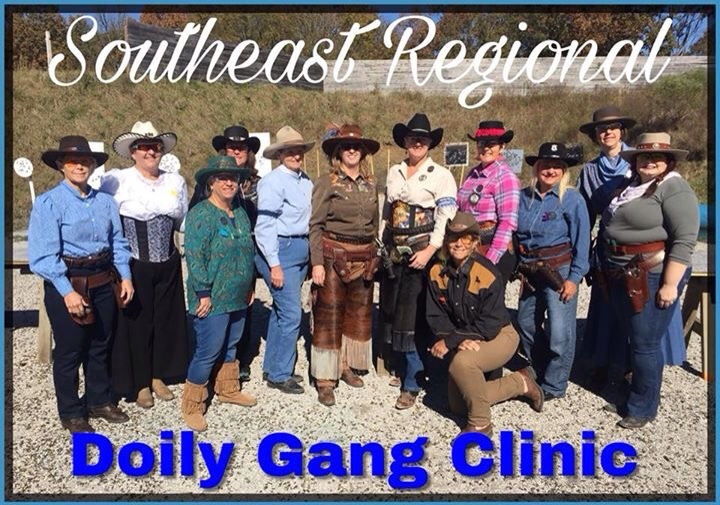 It is Gunfight In Dixie XV, the SASS SE Regional hosted by the Memphis Gunslingers in Lakeland, TN. In the mean time, Jack shot Wild Bunch and then if you got a quick chance, side matches were on or lunch – what's it gonna be? – lunch was the go before we did the afternoon warm up. Today was the first day of main match and the weather is again cool, clear, sunshine. Hand warmers, gloves, coats are a must! Five stages done for the day and we are both clean! The stages are great, fair amount of movement, great sequences, good mix of single tap and multi tap varieties! We have a great posse (go Posse 7!) and everything is running smoothly. Jack is Posse Marshal, I am Deputy and we are running with great folks – Belle Vaquera, Billy Broncstomper, Agarita Annie, Neuces Slim, Pale Ale Rider, Georgia Gypsy (not shooting this match but she is kindly doing scoring for us), Fire n Fallback, Cleve, Let's Go, Bill Carson, Dr Slick, Slick's Sharpshooter, Prestidigitator, Ben T Iron, Ara Tiest, C Beaux, JD Bullett, Larry Earp, Little Joe Dalton, Valrico Kid, and Tuco Forsyth. 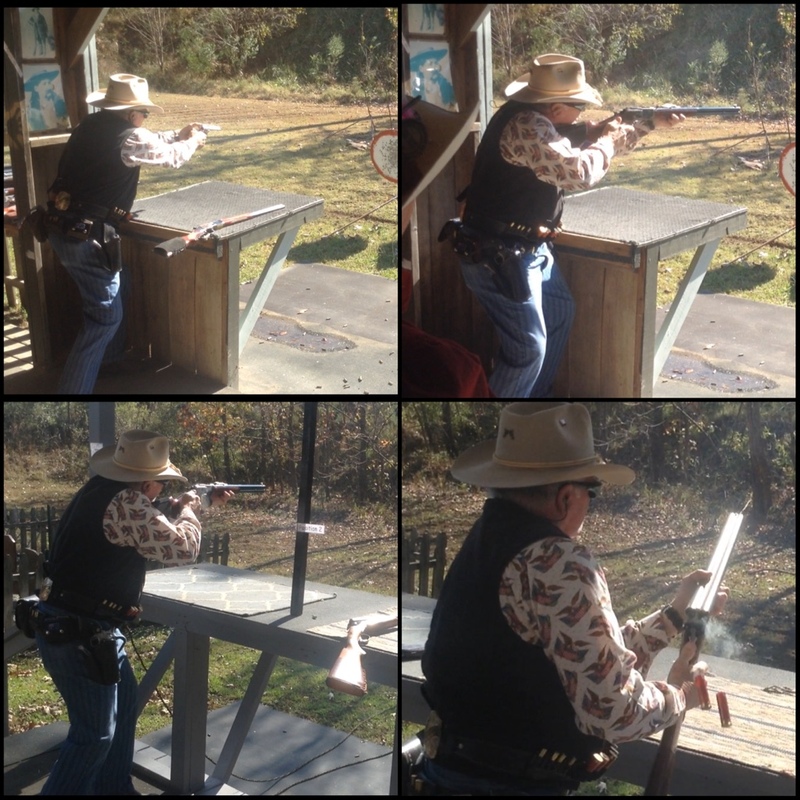 After we finished shooting the stages today, we wandered the vendors, and then along wih Fast Fingers, the Oklahoman team competed in the team match. I think at best we were around 4th. That was a good fun stage. See you on the range tomorrow for the final 5 and banquet tomorrow evening! 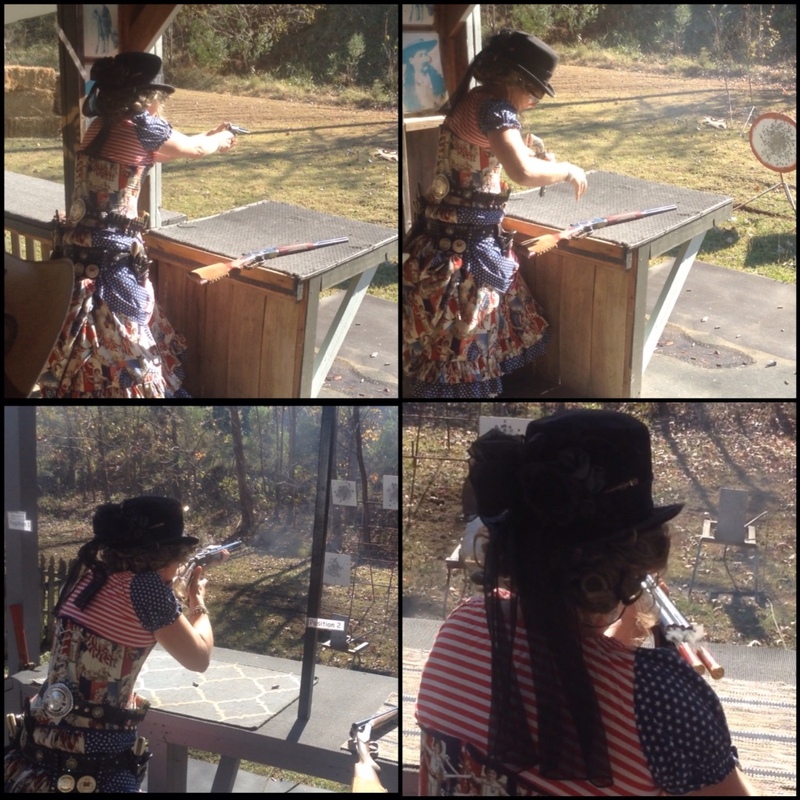 This entry was posted in Lifes a Dance, Love My Life, SASS and tagged Australia, bustles, corsets, cowboy action shooting, friends, Oklahoma, Single Action Shooting Society, Tennessee, United States of America, USTrip. Bookmark the permalink.